The Zambian Government has continuously been undertaking adjustment of the ad valorem copper mineral royalty. These reforms have been pursued with the main objective of instituting a robust mineral royalty instrument. 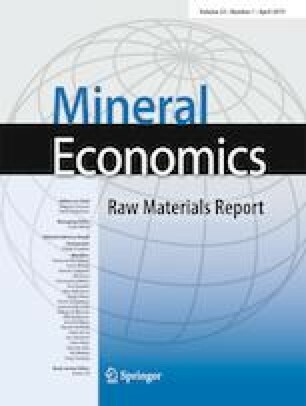 In this paper, an economic analysis of Zambia’s ad valorem copper mineral royalty reforms was undertaken so as to determine that which is sturdiest in design. Four evaluation criteria were applied, namely, neutrality, government risk, investor risk and progressivity. Based on the results of these criteria, an analytic hierarchy process (AHP) framework was used to determine the most robust royalty reform. Mineral royalty with the highest AHP score denoted that which is sturdiest in design. Results show that the 2009 mineral royalty with an AHP score of 0.91 is the most robust as it offers the best trade-off among the employed criteria.